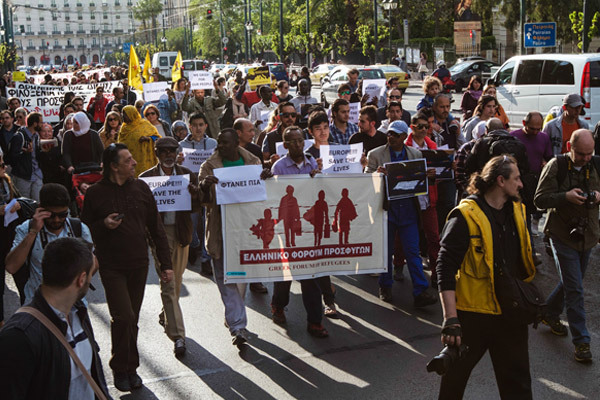 The Greek Forum of Refugees (GFR) is a network of refugee communities in Athens, Greece. It was founded in 2010 by the Afghan Community in Greece, the Sudanese Refugees Association in Greece, the Somali Community in Greece and the Greek Forum of Migrants. 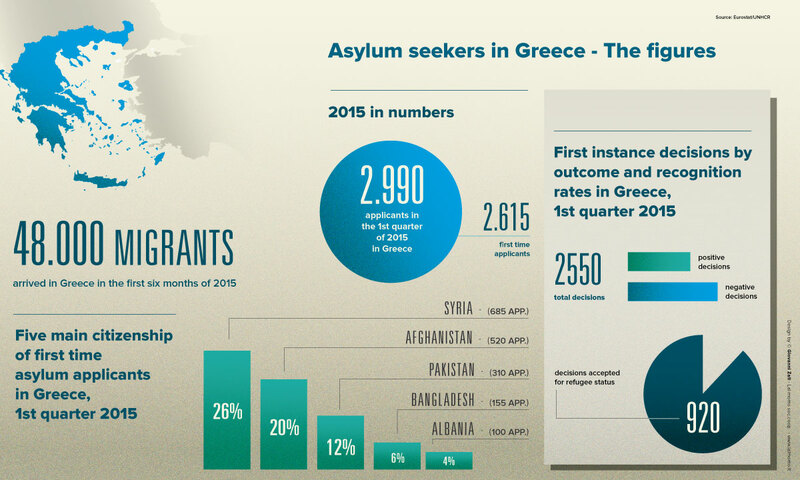 GFR strives for equality, integration and participation of refugees in Greek society. It operates on principles of solidarity, multiculturalism, social justice, defence of and respect for human rights, unity and self-organisation. The network is apolitical and has no religious affiliations. GFR exists to provide assistance to refugees and asylum seekers, to protect their rights throughout the asylum procedure and to promote participation and integration into Greek society. It seeks to protect the rights of refugees and asylum seekers by informing them of their rights and responsibilities, engaging in dialogue with government authorities and human rights organisations and by pressuring the Greek authorities to guarantee a fair and functioning asylum system. GFR also works to raise awareness in both Greek and international society and in the media about the reasons people leave their countries and the realities of the daily hardship faced by refugees and asylum seekers, on both the individual and the collective level. GFR encourages and supports active participation in social, cultural and sporting events and aims to strengthen the capacity of refugee communities to participate in society and public dialogue. Its founding member communities are self-organised and very active, with example of their many activities including social and community events, sport tournaments, language lessons, lobbying of the Greek government, support with gaining access to basic needs and provision of information regarding asylum. Every year since the formation of the GFR, the communities have organised an event for World Refugee Day, to promote awareness and solidarity. GFR also networks in Greece and abroad, to create and reinforce communication with other organisations and to advocate on behalf of Greece’s refugee population. GFR regularly participates in international conferences as means to advocate and raise awareness. In 2015 GFR is participating in three projects. These first of these is ‘Support and Legal services for victims of Hate Crime’, in partnership with six other Greek civil rights organisations. GFR’s role includes informing refugees about hate crime and their rights regarding this, and of the types of support provided by the project. GFR is also responsible for recognising, recording and reporting hate crime and for offering support to those who report it, such as accompanying victims to hospitals. The second project is ‘One Stop Shop’ which aims to prevent social exclusion and promote and empowerment and integration, with emphasis on those who are most vulnerable. GFR informs communities about relevant legislation and social rights, through direct communication and through its website, Facebook, Twitter and newsletter. Thirdly, GFR has the Passion Project, which is being run in partnership with the School of Public Policy in Budapest. It seeks to defend the rights of refugees and asylum seekers as enshrined in international law. The project is identifying cases of the non-implementation of the law, and will construct a report and run an awareness campaign. GFR always insists upon the fact that when refugees start their long and difficult journeys, it is their last resort. The network will continue to assert and defend the rights of refugees and asylum seekers that are enshrined in international law, until these rights are consistently respected.